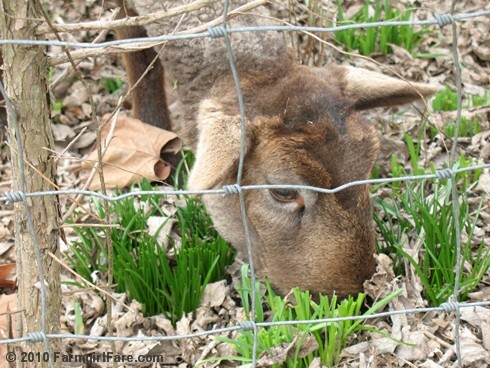 Farmgirl Fare: Saturday Dose of Cute: Spring Has Sprung! Care for a little more yellow? 4/7/08: The Definition of Cheerful? Need a bigger bouquet? You'll find all sorts of colorful blooms here and here and here. 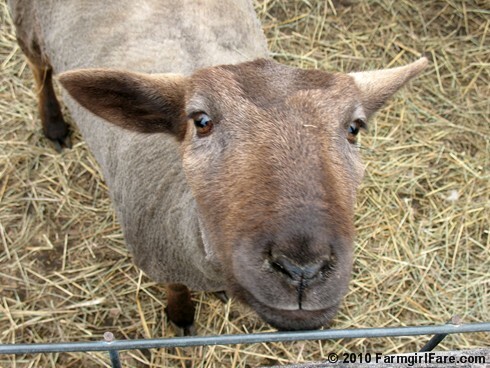 © Copyright 2010 FarmgirlFare.com, the cheerful yet mellow foodie farm blog where some of the sheep love flowers even more than I do—though unfortunately they tend to show their appreciation in a slightly different way. I am so jealous. 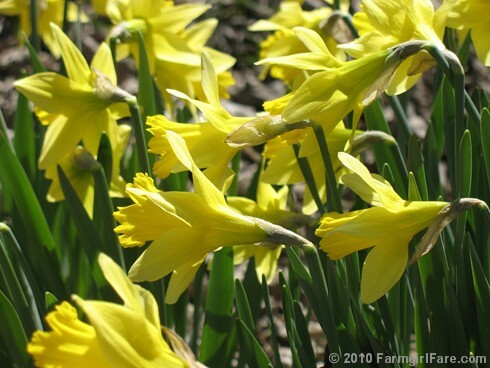 Daffodils don't grow here in Florida. 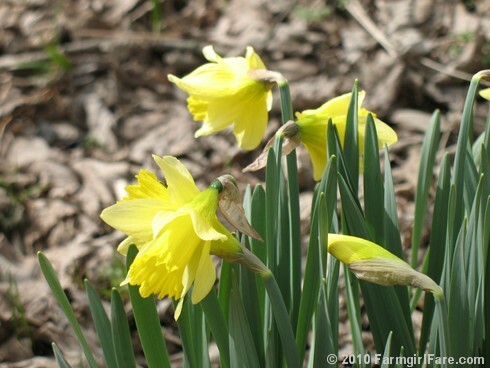 Daffodils are so pretty! I love spring! 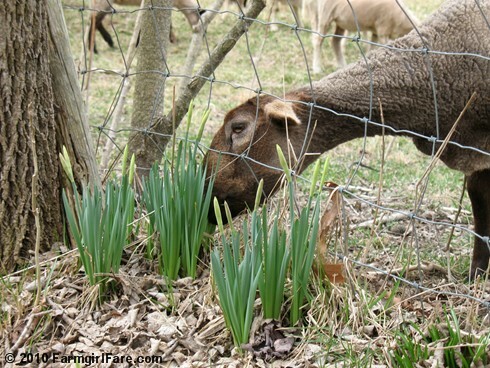 Yes, I am jealous too... nothing says Spring like Daffodils and little Lambs. 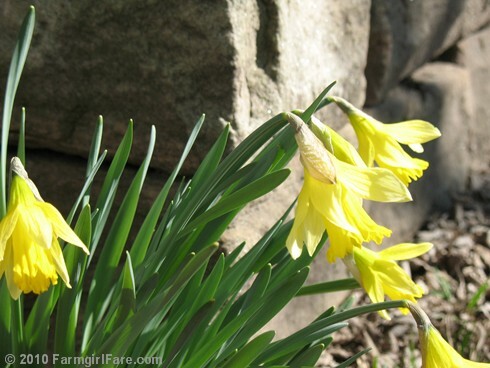 While we have the Lambs here in Brazil (plenty of them in my State of Minas Gerais) sadly we don't have the Daffodils. Thanks for posting these were really lovely photos. Happy Spring to you! Beautiful photos. hey no fair we got slammed with 4 inches of snow my flowers are so sad. Earlier than us in Cornwall, Just shwing themselfs now. seems to be late this year.